Anyone who’s been in your shoes knows that being a dad is tough. Like, really tough. Nothing can really prepare you for what it’s like to bring a life into this world. Luckily, there are ways to deal with the unexpected stress, fatigue, anxiety, and growing pains that so many dads go through. One of these ways is by supplementing with CBD oil. There’s no need to take time out of your day or to empty your wallet. Just put a few drops under the tongue and you can enjoy relief from pain, stress, excessive worry, depression, and many other problems common to dads. Are you the 90s TV dad you always dreamed of being for your kids? If not, CBD oil can offer some Home Improvement. When it comes to positive vibes, you’ll have a Full House, and no one will be happier about being Married with Children. Let’s get into the benefits of CBD oil for dads, and don’t worry, we’ll take it Step by Step. The #1 complaint of new parents is a lack of sleep. Your circadian rhythms get all messed up when you try to adapt to your baby’s sleep schedule, and this leads to the problem of feeling tired all the time yet failing to fall asleep when your head hits the pillow. 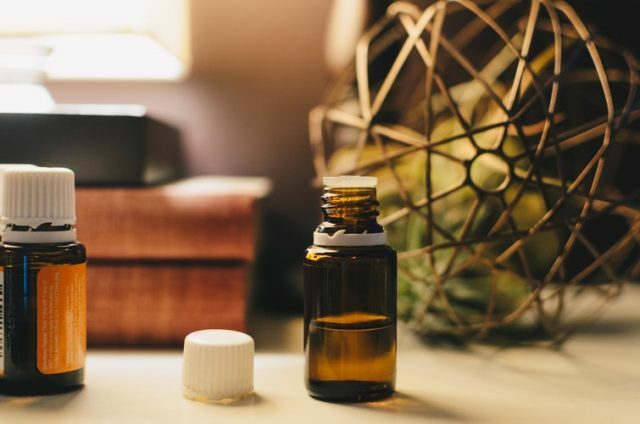 CBD has been shown to have a calming effect that may help regulate the release of the sleep-wake hormones melatonin and cortisol. This encourages a balanced sleep-wake cycle. Also, higher doses have been shown to help people get to sleep faster and enjoy more satisfying shuteye. All of this comes without the negatives of other sleep aids, so don’t worry about sleeping through your baby’s feeding call. You might not be turning into your dad yet, but there are plenty of growing pains that come with fatherhood. Whether it’s from sitting like a statue in an awkward position to keep the baby in your arms from waking or just enduring headaches from your teenage girls’ daily shouting match, pain can ruin your mood and affect your kids negatively. Many studies have shown CBD oil to be an effective and safe pain reliever. Just a few drops can help to relieve the migraines, backaches, and stiff muscles that dads often deal with. And there is no evidence of CBD being addictive or having serious side effects like most pain medications. One of the hardest parts of fatherhood is dealing with constant worry. How do you balance a healthy amount of caution with providing the freedom that your budding offspring need? Finding that line will never be easy, but CBD oil can help you take a step back and gain control over the intrusive thoughts, short tempers, and overprotective tendencies that make up dad anxiety. Sometimes, anxiety develops into depression as time rolls on. Young men are shown to exhibit huge increases in depression within the first five years of becoming a dad. If you feel this way, you’re not alone. Far from it. If you suffer from signs of depression, you should seek advice from your doctor. CBD may also help you return to a normal state of mental health, as it has been shown to exhibit some of the same effects as antidepressants, though without the negative side effects. Just because your former man cave is now a shrine to My Little Pony and your favorite rock albums have been replaced by the Wiggles greatest hits doesn’t mean you have to wear a frown. If you feel like you get stuck on the little things, you may need a mood booster like CBD to give you some perspective. CBD has a big impact on the endocannabinoid system, the body system that plays a huge role in regulating mood by modulating serotonin (anti-stress) and dopamine (happiness) levels. CBD can help to put those mood swings in check, put a smile on your face, and get you singing your heart out to the Wiggles like a real rockstar dad. Is CBD Oil Okay for Kids? So, you’ve tried out CBD, and you’re a believer. Congrats! It’s only natural to want to provide the same all-natural goodness to the ones you love. But is it ok to give it to your kids? More research needs to be done on CBD: It’s true that the FDA approved a pharmaceutical drug for children that contains CBD. But, research hasn’t been done on how CBD affects healthy, growing kids. Because of this lack of knowledge, we can’t recommend that you give CBD to your children unless you’ve discussed it with your pediatrician. It could be legally troublesome: CBD is a compound of the cannabis plant. While CBD is now legal in most of the country, the states differ greatly regarding their take on the legal nature of CBD. If you live in a state, county, or town that has taken a restrictive position on hemp-derived CBD, giving it to your healthy kid should be avoided. If your child has a health condition and you think CBD could improve their quality of life, speak to a pediatrician first. Otherwise, a healthy diet, exercise, and plenty of love should be all they need! 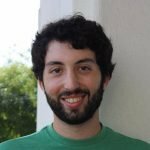 About the author: Benjamin Gorman is a writer and editor who specializes in cannabis, health, and wellness. Currently based wherever he can find a bit of sunshine, he enjoys going to the beach and writing fiction in his free time.